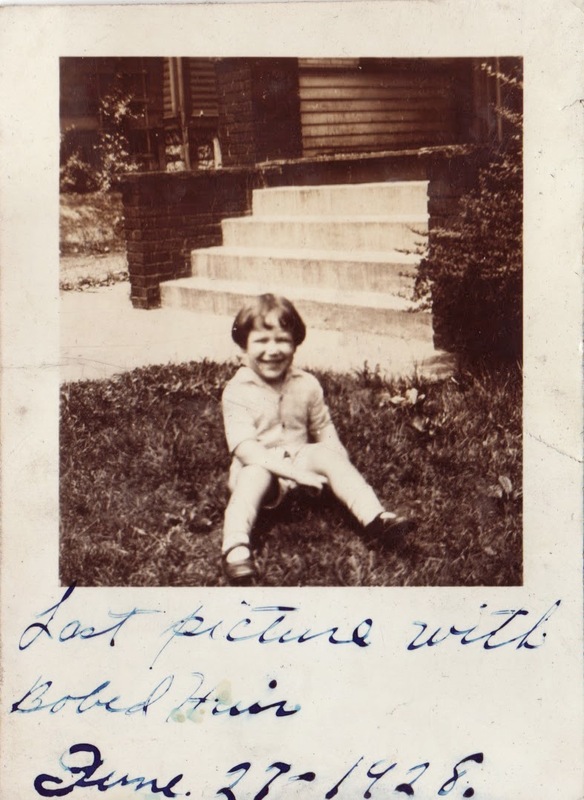 Much to my delight, my great grandmother captioned so many of the photos she took. This photo was taken on 27 Jun 1928. “Last picture with bobed (sic) hair.” My grandfather Chuck Lowry would soon go from bobbed hair to a more traditional boy haircut. I’m not sure when he lost the saddle shoes.